So, I’m on to Sock Madness Round 4. The pattern came out Tuesday which was pretty inconvenient as I was trying to finish my shawl that has to be done by Friday. The shawl is one of the variants of Cold Mountain by Keiran Foley. It’s now blocking, and I’m really happy with how it’s turned out. The image is just a section of it as it’s so long. 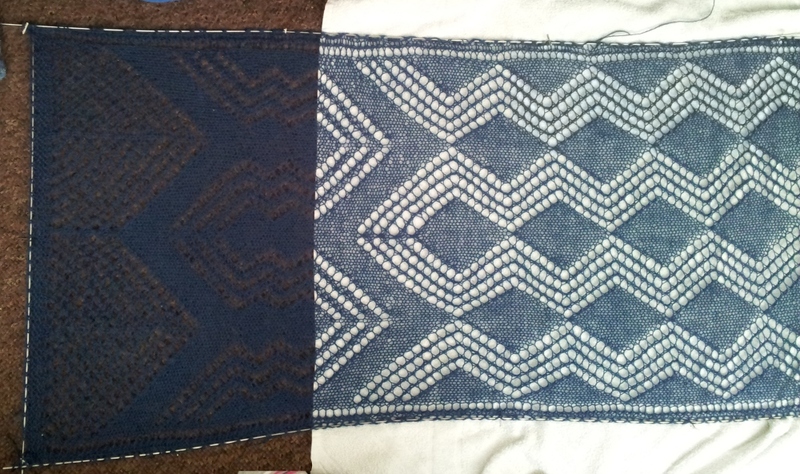 I can get a better photo once it’s finished blocking. I tried pinning it on a towel but the towel was no where near long enough, hence the change in background colour. 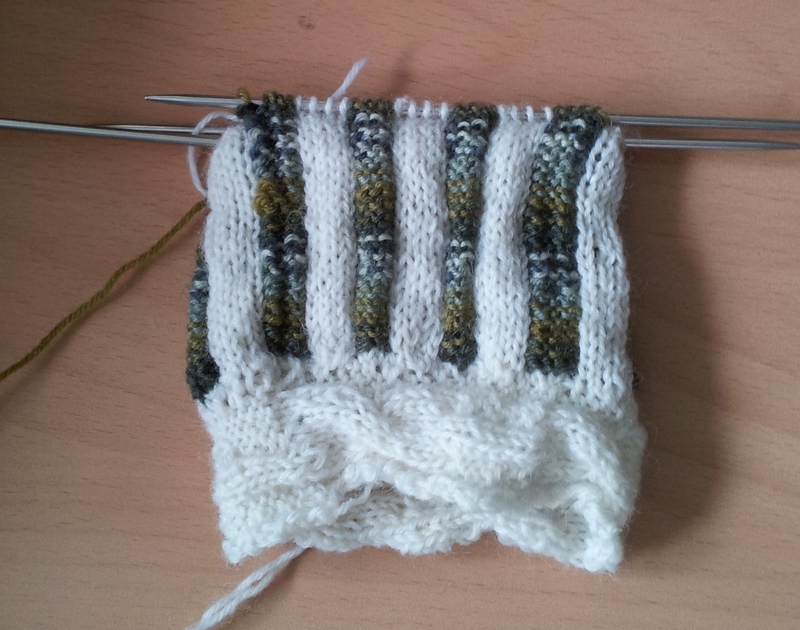 So now I’m knitting very fast to try and catch up on Sock Madness. This pattern is Shakertown Fences. Here’s what I have so far. This entry was posted in Knitting and tagged challenges, knitting, sock madness, socks on May 8, 2014 by beccabadger.